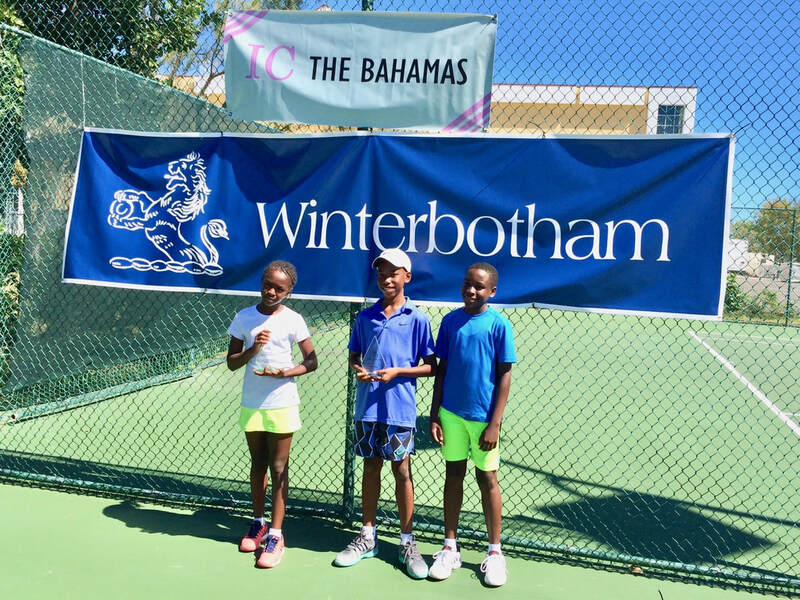 It was a very busy weekend of tennis for the most promising young tennis players in The Bahamas at The National Tennis Centre with every contestant playing five or more matches. 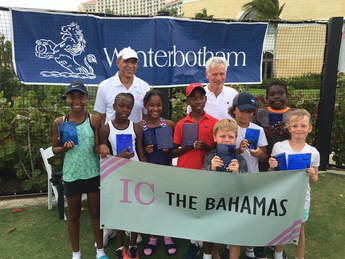 This first in a series of five 2018 events in The Winterbotham IC Junior Series for 12 & under and 10 & under had some exciting matches. All contestants played four matches in round robin groups on the first day with “Play Offs” on the second day. In the older category Michael Major came through as the winner with a final win over Jackson Mactaggart. In the younger age group it was Jerrold Carroll from Freeport with a final win over Breann Ferguson. However the emphasis on the series is maximum tournament experience for all this group of emerging players with everyone playing five or more matches. 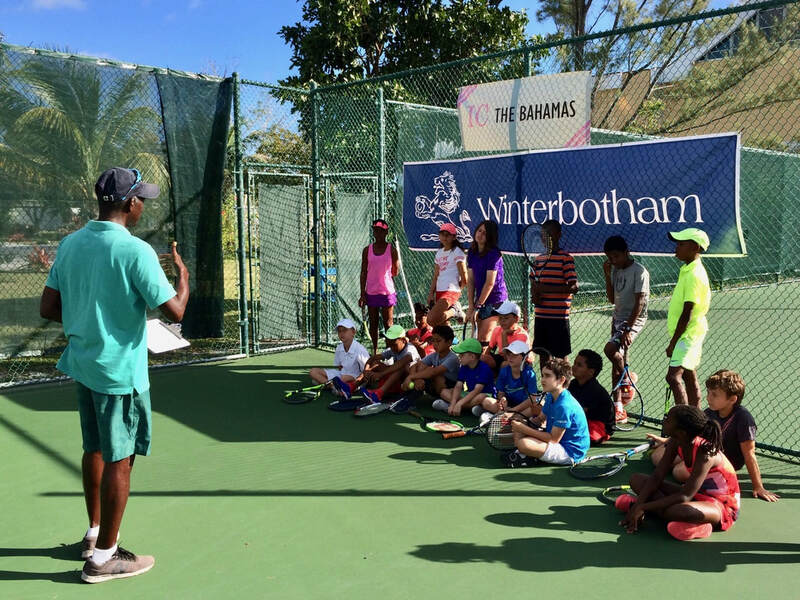 This is designed to help development of all this group and promote a new generation of tennis players in The Bahamas without the expense of going overseas. The series moves on to The Lleyton Hewitt Albany Tennis Academy for the second event 14th/15th April then on to Baha Mar for the third event 19th/20th May. This will be followed in October and November with events in Freeport and at The Gym Club. 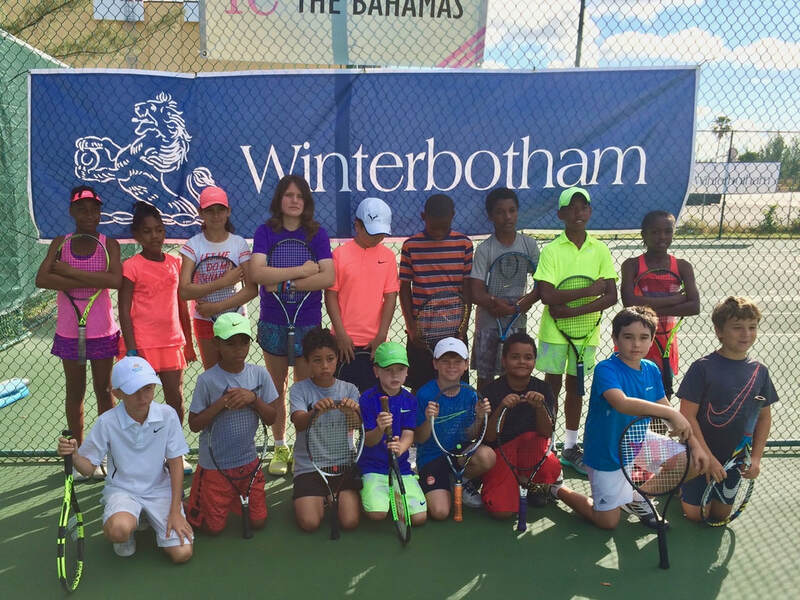 The event which has BLTA approval has been developed and is being run by The International Tennis Club of The Bahamas (IC) and sponsored by Winterbotham Trust Company. There are 40 IC’s around the world made up primarily of some of the best players in those countries who as well as organising senior events give back to tennis “the game for life” through activities such as this. Their motto is “hands across the net, friendship across the ocean” and by talking with all the juniors at these events they are also developing good attitudes as well as good tennis. All the juniors, their coaches and parents were very enthusiastic about the event and its format with many signing up already for the next event in the series. 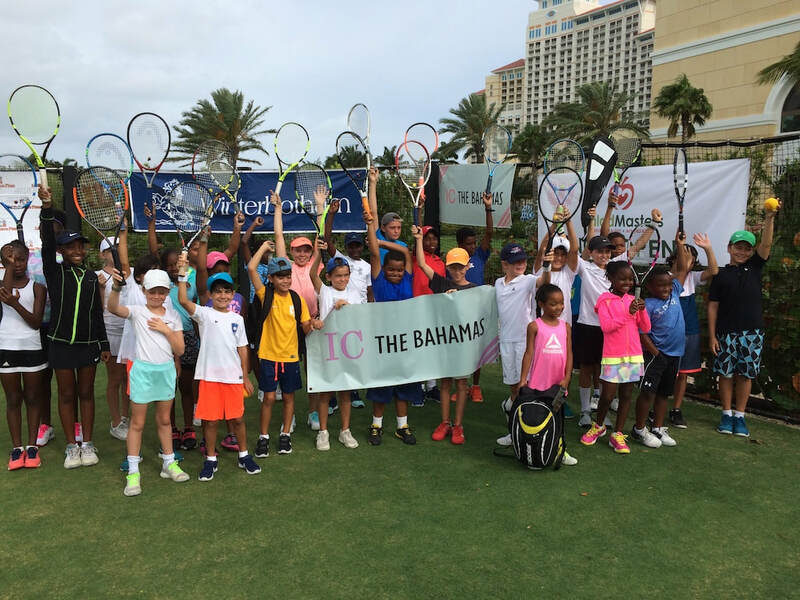 To help develop tennis in the important younger age groups of 12 & under and 10 & under, the International Tennis Club (IC) of The Bahamas is organising a series of five tournaments at several top Bahamian tennis venues during 2018. The series is being sponsored by The Winterbotham Trust Company Limited. Events will be full all day Saturday and Sunday weekend tournaments in round robin formats with at least three matches planned per participant per day. There will be both regular Yellow Ball and Green Ball events for boys and girls. The IC motto is ‘Hands across the net, friendship across the ocean’. A light lunch is included for participants and this, together with the round robin format, is intended to foster a competitive group of young players with potential who can develop as a group of like-minded friends through future years. The IC plans to make awards to the top players at the completion of the series to further develop their tennis. The entry fee is $25 for each event and juniors must take up BLTA membership ($10). 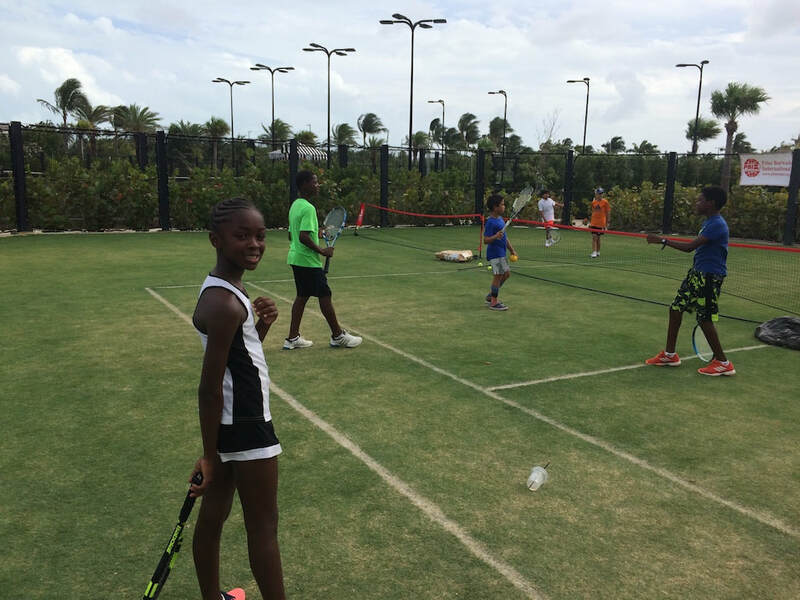 Entry forms will be available at the National Tennis Centre and other tennis venues in The Bahamas. The series is open to overseas players and their participation will be encouraged. The main IC organising committee is Neil Mactaggart (359-0900), Kit Spencer (363-2930) and Mickey Williams (557-8307).